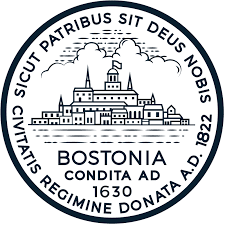 City of Boston Commission for Persons with Disabilities The Commission for Persons with Disabilities facilitates full and equal participation in all aspects of life by persons with disabilities in the City of Boston. The Commission strives to reduce architectural, procedural, attitudinal, and communication barriers that affect persons with disabilities. The Commission coordinates and monitors the City’s compliance with federal, state, and city civil rights laws for persons with disabilities. One of the primary programs of the Commission for Persons with Disabilities is providing technical assistance on disability related issues to city departments and agencies and to the general public. The City’s Americans with Disability Act Transition Plan provides guidance in monitoring facilities, programs, and activities of the City. The Commission, following the Transition Plan, has provided technical assistance in a variety of capital projects throughout the City, including the construction of the new Early Learning Centers, the first newly built schools in Boston in over a decade. We have also provided assistance to the Parks and Recreation Department for the construction of the Frog Pond Skating Rink, which provides accessible public skating on Boston Common. The Commission, in partnership with the Mayor’s Office, has recently developed the Freedom Trail Access Map to assure access to the city’s historic sites. We also work frequently with the Office of Special Events to assure access to events such as the Boston Marathon. The Commission has been very successful in providing this assistance because of our broad networking efforts and familiarity with resources.